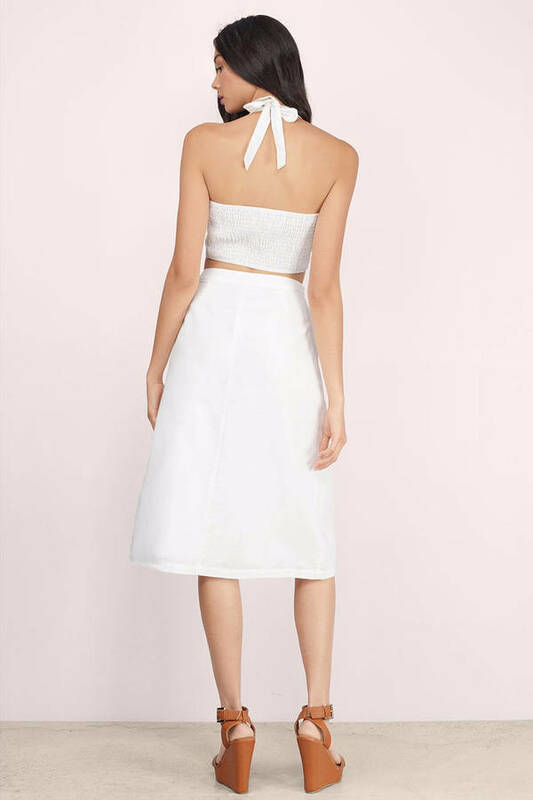 Check out Tobi's Meadows Linen High Waist Midi Skirt Designed by Tobi. 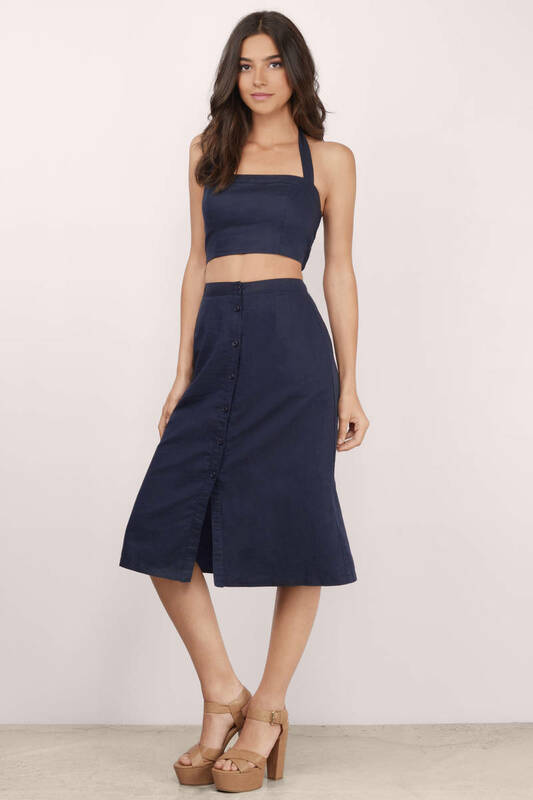 The Meadows Linen High Waist Midi Skirt features a button down front closure. A-line silhouette and easy fit. Pair with wedges for a sweet and chic appeal. Designed by Tobi. 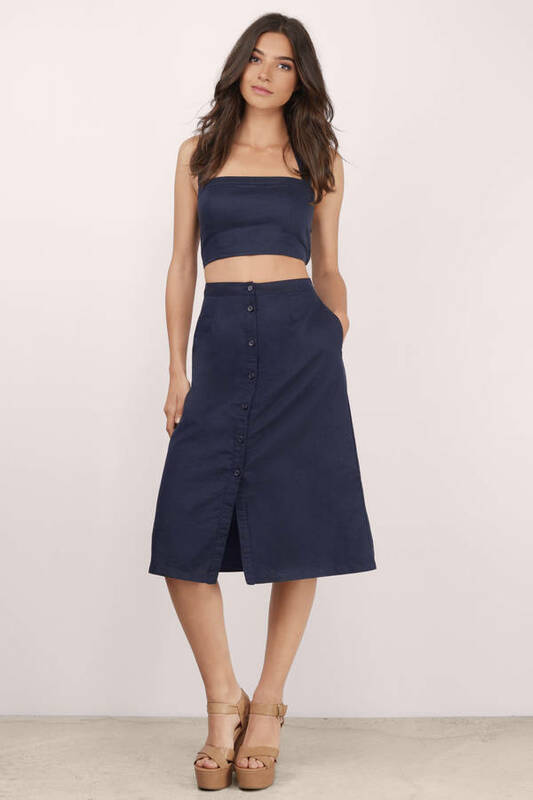 The Meadows Linen High Waist Midi Skirt features a button down front closure. A-line silhouette and easy fit. Pair with wedges for a sweet and chic appeal.